for quality Commercial Window Cleaning and Solar Panel cleaning. 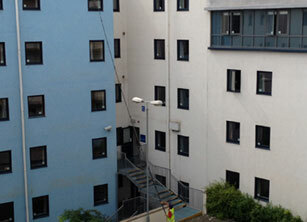 Commercial window cleaning services with risk assessments and method statements throughout Devon & Cornwall. Our staff come highly trained and are equipped with the latest environmentally friendly cleaning technologies. We can offer one-off cleans or regular contracts at a frequency to suit you and all at competitive prices. Our professional teams of window cleaners are capable of meeting all commercial window cleaning requirements. We Utilise water fed poles and pure water technology which results in our company being very environmentally friendly. We undertake internal and external window cleaning throughout Devon and Cornwall for our commercial clients and external window cleaning for our domestic clients. SAJ Window cleaners offer a complete and comprehensive range of additional cleaning and maintenance services as well as professional window cleaning. We take great pride in delivering an exceptional quality window cleaning service to a large and diverse range of clients and have done so for over thirteen years. Our clients have properties from houses and flats, executive or large properties, Office blocks, pubs, retail, large and small commercial properties through to public buildings including schools and colleges. 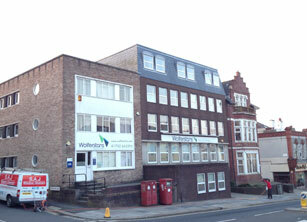 If you would like to find out more about our services or request a no obligation free quotation, then please call us. 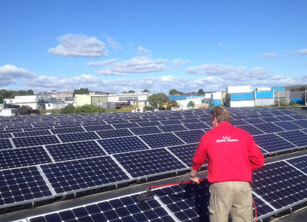 SAJ Commercial Window Cleaners carry out solar panel cleaning for both residential and commercial clients. SAJ Commercial Solar Panel cleaning throughout Devon and Cornwall on all ground-mounted solar parks and solar farms of all sizes, including multi-MW, we clean solar panels on factory and office roofs, public buildings and farm buildings. All of our Solar Panel Cleaning services are environmentally friendly and our use of pure water ensures that your Solar Panels will dry to a spotless streak free finish and stay clean for longer. 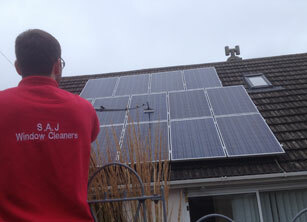 If you would like a free quote for Solar Panel Cleaning in Devon or Cornwall please call. SAJ Commercial Window Cleaning provides a high-quality, customer-focused and state-of-the-art window cleaning service for all your commercial. Our highly experienced team of window cleaners can reach up to 80ft from the ground with our water fed pole system, avoiding the use for costly equipment and saving you money instantly. We operate with no need for any chemicals or detergents, all of our window cleaning services are environmentally friendly and our use of pure water ensures that your windows will dry to a spotless streak free finish and stay clean for longer.